Bo Kaap is an old Muslim neighborhood in central Cape Town where generations of Malay Muslims lives. The social ties are strong within the community due to family bands, culture and religion. For that reason, large portion of phone calls are kept local within Bo-Kaap, which is one of the criteria for a suitable Village Telco deployment. The Bo Kaap neighborhood is located on the slope of a hill which makes it ideal for a wireless deployment without access to major infrastructure such as tower and masts. 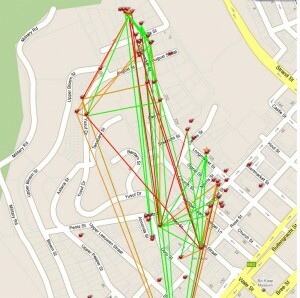 The Bo Kaap network is a Village Telco testbed, and is run on a non-commercial basis by the Village Telco. Its central location in Cape Town, makes it ideal to visit by WiFi-gurus, media and potential funders. 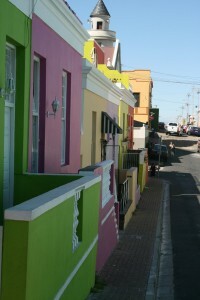 The Boo Kaap network is connected to the Internet via a wireless link to Vanilla, an ICT company hosted by the Bandwidth Barn (an ICT business incubator) in Bo Kaap. 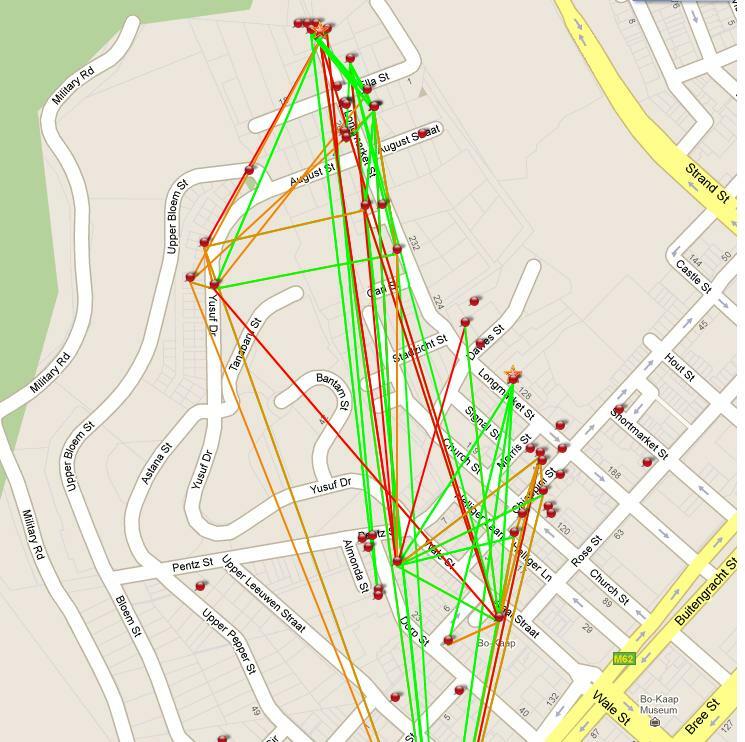 To provide a stable backbone to the many clients of Bo Kaap, a wireless mesh backbone network comprising of a hyper node and a set of super nodes has been established. The hyper node is placed at the roof top of the Bandwidth Barn (a five storey building located at the bottom of the hill in Bo Kaap). The super nodes (three units) are placed on high building (roof tops) in Bo Kaap, belonging to kind residents eager to support the Village Telco initiative. The hyper node is a Ubiquity Nano Station (NS2) running B.A.T.M.A.N with an external directional antenna. The the super nodes are also Ubiquity Nano Stations (NS2) with integrated directional antennas. During the last 12 months, no less than 70 Mesh Potatoes have been deployed in Bo Kaap. Whenever possible, the Mesh Potatoes have been installed on roof-tops. In cases where access to roof-tops were not possible, the Mesh Potatoes have been installed on facades or windows. Each client installation consist of one Mesh Potato (with PoTS injector and power supply), an analogue phone, a 1m pole and mounting brackets.